2017/03/22 This site is currently under construction. This is a collection of FAQs from users of the Central Library. Q1-1. What is the Library’s schedule? Q1-2. Are there water fountains? Q1-3. Can I eat and drink in the library? Q1-4. Is the library open to the public? Q2-1. What do I need to do to get to the stacks? Q2-2. Can I use the Law or Economics libraries? Q3-2. Will you tell me what I have checked out? Q3-3. I forgot to bring my student ID card (or library card). Can I still check out books? Q3-4. Can I check out journals? Q3-5. Can I check out the latest issue of a journal? Q3-6. What do I need to do in order to check out a journal that has not been bound? Q3-7. Can I check out books at the Central Library and the Natural Science and Technology Library at the same time? Q3-8. Can I check out white papers? Q3-9. Can I check out reduced editions of newspapers? Q3-10. Can I check out materials in the stacks? Q3-11. Can I check out books in the Akegarasu collection or the Fourth High School collection? Q4-1. I understand that I cannot renew journals, but if I want to check them out right away, what do I need to do? Q4-2. My book is due today and I would like to renew it, but I forgot to bring it today. What should I do? Q4-3. I renewed a book online by clicking on "Lending and Reservation Situation," but I received a due date reminder. Q5-1. What will happen if the book is overdue? Q5-2. Can I return a book I checked out from the Central Library to the Natural Science and Technology Library? Q5-3. Can I return books when the library closed? Q6-1. Where can I find this month’s newspapers? Q6-2. Where can I find last month’s newspapers? Q6-3. Where can I find the reduced edition of newspapers? Q6-4. Where are the language dictionaries? Q7-1. Can I use a copy machine without any restrictions? Q7-2. Why do I need to submit a copy request form? Q7-3. Can you break a bill? Q7-4. What do I need to do to have the latest issue of a journal copied? Q7-5. Can I copy the materials in the stacks? Q7-6. Can I copy the books bound in the Japanese style (Watoji books)? Q7-7. Can I copy dissertations and master’s theses? Q8-1. Can I have a letter of introduction to use other university libraries? Q8-2. 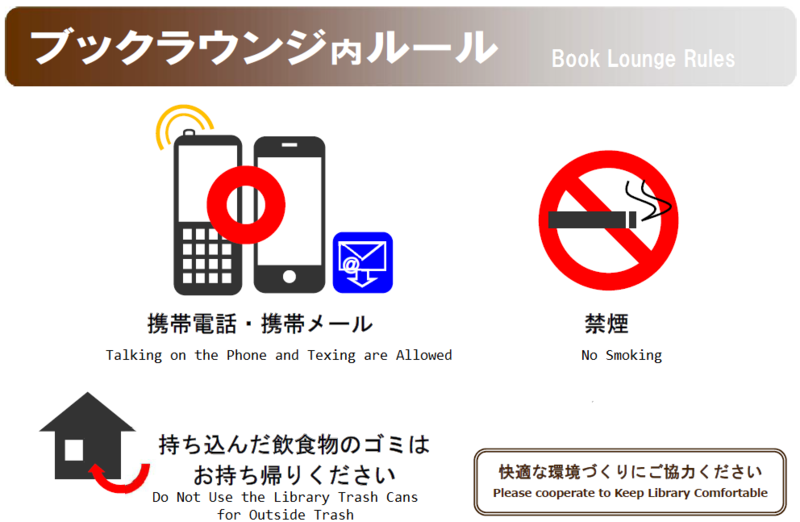 Can I use the Kanazawa Institute of Technology Library Center? Q9-1. I would like to check out books at another university library. What do I need to do? Q9-2. Can I use public expense for interlibrary loans and copies? Q9-3. How much does it cost to use the interlibrary loans and copies service? How long does it take to get a requested book/copy? Q9-4. I am not a member of the university and live quite far away from the university. Can I have documents (or books) sent by mail? Q10-1. I cannot figure out how to use OPAC plus to find information about library holdings. Q10-2. Can I check out the material that is kept at a research office? Q11-1. Can I use the Internet in the library? Q11-2. I would like to print out things from a computer in the library. Q11-3. I cannot remember my Kanazawa University ID. Q11-4. I cannot remember my Network ID. A1-1. What is the Library’s schedule? You can check the annual calendar by clicking on "Central Library" below "Library Calendar." The schedule is also available at the Library Service Desk. A1-2. Are there water fountains? We do not have water fountains in the library at present. A1-3. Can I eat and drink in the library? You may drink beverages from a container with a lid, such as a plastic bottle. 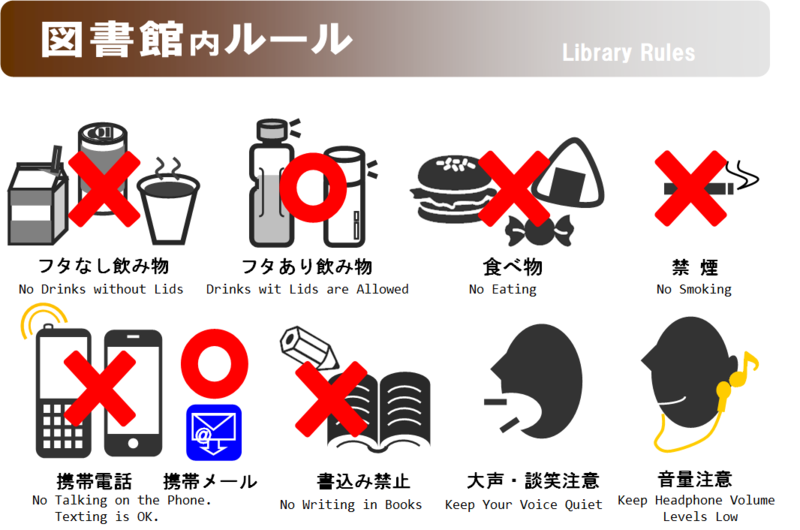 Eating is prohibited in the library. You may eat in the Book Lounge. A1-4. Is the library open to the public? Reading materials are open to the public. When they are checked out of the library, a library card is required. A library card is issued only to graduates and former staff of Kanazawa University, residents of the three prefectures in Hokuriku, and people commuting to Ishikawa prefecture to work or study. To obtain a library card, identification with a current address (e.g., a driver’s license) needs to be presented. The library card will be valid until the end of the academic year of issue. To renew the card, please bring your library card and proof of residence. A2-1. What do I need to do to get to the stacks? You need to obtain a permission card at the library service desk. Submit your Student ID card (or library card) to obtain this card. Please leave your belongings in a Stack User’s Locker. When you finish, return the card and retrieve your Student ID card (or library card). ※ Please note that the availability of the stacks ends 30 minutes before the Library closes. A2-2. Can I use the Law or Economics libraries? These are only open to Kanazawa University members. If you are a student or staff member at the university, you can go in and use them. Not open to the public. We apologize for any inconvenience. A3-1. How many books can I check out? You can check out up to 10 books including what you have already checked out. If you are not a student or staff member at the university, you can check out up to five books, including what you have already checked out. A3-2. Will you tell me what I have checked out? You can look up the titles of books you have checked out and their due dates in "Lending and Reservation Situation" through "Library Online Service" on the library website. You will need your Kanazawa University ID and password to login. If you present your library card to the library service desk, they can tell you what you have checked out. A3-3. I forgot to bring my student ID card (or library card). Can I still check out books? You cannot check out books. Please bring your student ID card (or your library card) whenever you use the library. A3-4. Can I check out journals? You can check out bound journals for three days. You can also check out unbound journals, except for the latest issues, for three days. However, please note that you cannot renew the loan period for journals. A3-5. Can I check out the latest issue of a journal? You cannot check out the latest issues of journals. Please wait until the next issue comes in. A3-6. What do I need to do in order to check out a journal that has not been bound? Please fill out an "Application form for Unbound Magazine/Journal" on the desk by the automated checkout machine and submit it, with the journal you want to check out, to the Library service desk. A3-7. Can I check out books at the Central Library and the Natural Science and Technology Library at the same time? You can check out as many books as each library allows you to. A3-8. Can I check out white papers? You can check out white papers and yearbooks that have a call number starting with "Y" for three days. These have call numbers but are classified as "periodicals" in OPAC. Note 1: Please read the latest issues inside the library. They are not allowed to use outside the library. Note 2: Even if the title says, "white paper," if the call number does not start with "Y," the document is classified as a a book, and you can check it out for three weeks. A3-9. Can I check out reduced editions of newspapers? You cannot check out reduced editions of newspapers. Please make a copy of the necessary part at the Copy Corner. A3-10. Can I check out materials in the stacks? Yes. Some of the materials are not allowed to be taken out of the library. A3-11. Can I check out books in the Akegarasu collection or the Fourth High School collection? A4-1. I understand that I cannot renew journals, but if I want to check them out right away, what do I need to do? Return them and wait until the next day, and you will be able to check them out. A4-2. My book is due today and I would lik to renew it, but I forgot to bring it today. What should I do? If someone else has reserved the book or the material is classified as a journal, you cannot renew it. Please return it promptly. You can renew the book by visiting the library service desk or contacting them by phone during open hours. If someone else has reserved the book, or the material the book or the material is classified as a journal, you cannot renew it. Please return it promptly. A4-3. I renewed a book online by clicking on "Lending and Reservation Situation," but I received a due date reminder. ① Check the books you want to renew, then click the "Renew selected" button. ② Click the "Renew saved" button. ③ The message "The loan period was extended" will appear. A5-1. What will happen if the book is overdue? You cannot check out the item again. Your account will be suspended for the same amount of days as the length of time the book was overdue. A5-2. Can I return a book I checked out from the Central Library to the Natural Science and Technology Library? However, please return unbound pedioricals to the service desk at the Central Library. Please return books you checked out yourself from the Law or Economics Library or from the office you are associated with to where you initially checked them out. You can return the items you checked out to a different library from where you checked them out. However, please return unbound periodicals to where you initially checked them out. A5-3. Can I return books when the library is closed? You can return the books to the book drop at the passage outside the North Entrance. Please return the below items to the service desk at the Central Library. A6-1. Where can I find this month’s newspapers? They are located under the newspaper reading counter at the Book Lounge. A6-2. Where can I find last month’s newspapers? The newspapers will be in stock until the reduced edition is published (about six months). A6-3. Where can I find the reduced edition of newspapers? 1) Those for the last five years (including this year) are on the second floor. A6-4. Where are the language dictionaries? A7-1. Can I use a copy machine without any restrictions? Copy machines in the library are limited to use for library materials according to Article 31 of the Copyright Law. You cannot use them to copy your notebooks and other items you bring into the library. Please use the copy machines at the Kanazawa University Coop or convenience stores. A7-2. Why do I need to submit a copy request form? A7-3. Can you break a bill? We cannot break large bills. Please bring change. Copy machines in the Central Library take 10-, 50-, 100-, and 500-yen coins and 1000-yen bills. A7-4. What do I need to do to have the latest issue of a journal copied? You cannot copy the latest issue of a journal. You have to wait three months after its publication or until the next issue comes out. A7-5. Can I copy the materials in the stacks? You can copy periodicals and books within the limits set by the Copyright Law*. Please return the item to where you found it after you copy at the Copy Section on the second floor. * Regarding Copyright Law, please refer to the notice board by the copy machine. A7-6. Can I copy the books bound in the Japanese style (Watoji books)? You are not allowed to make copies of a book bound in the Japanese style (Watoji book) with an electronic copy machine, for their protection and conservation. A7-7. Can I copy dissertations and master’s theses? 1) You can make a copy of a dissertation by a Kanazawa University graduate within the limits of the Copyright Act. In other words, you can copy part of it (less than half) but you will need the author’s permission to make a copy of the entire dissertation. 2) We have some of the master’s theses by our graduates. You will, however, need to obtain permission from the copyright holder even to make a partial copy. A8-1. Can I have a letter of introduction to use other university libraries? You may apply for it at the Library Service Desk about one week before you visit the library of another university. You will notify us in advance of the date of visit, the name of the library, and items you need, after checking the library schedule and its location. Our library will issue a letter after contacting the library and obtaining permission. We will not write a letter of introduction for those who are not affiliated with this university. A8-2. Can I use the Kanazawa Institute of Technology Library Center? You need to present a member’s card for the University Library Council of Ishikawa Prefecture to get into the center. Before yout visit, please apply for one at the library service desk. The library will lend you a member’s card for that day. Please return the card promptly after your visit to the center. If you are not affiliated with Kanazawa University, please contact the Library Center of the Kanazawa Institute of Technology directly. A9-1. I would like to check out books at another university library. What do I need to do? You need to apply to check out a book. Login to “Library Online Service” on the library website (using your Kanazawa University ID and password), click “ILL request,” and then click the “New document copy request” or “New book loan request” button. Fill out the necessary information and apply. If you are not affiliated with this university, please contact a nearby public library or your university’s library. A9-2. Can I use public expense for interlibrary loans and copieds? A9-3. How much does it cost to use the interlibrary loan service? How long does it take to get a requested book? The cost will be the total of the copying fee (about 35–55 yen per page) plus the shipping charge. A9-4. I am not a member of the university and live quite far away from the university. Can I have documents (or books) sent by mail? If you are not affiliated with this university, please request ILL service at a nearby public library nearby or your university’s library. Your request may be denied if the item is owned by a laboratory and someone is using it. A10-1. I cannot figure out how to use OPAC plus to find information about library holdings. ○Books are arranged by call number as indicated in OPAC plus (class numbers and author marks). You can look for the item according to the class numbers that shown on book shelves. ○Periodicals are arranged in alphabetical order. You can look for the item according to the letters shown on bookshelves. Please contact the Library Service Desk if you need further assistance. A10-2. Can I check out the material that is kept at a professor’s office? You cannot check it out yourself. You will need to apply for its copy or loan. 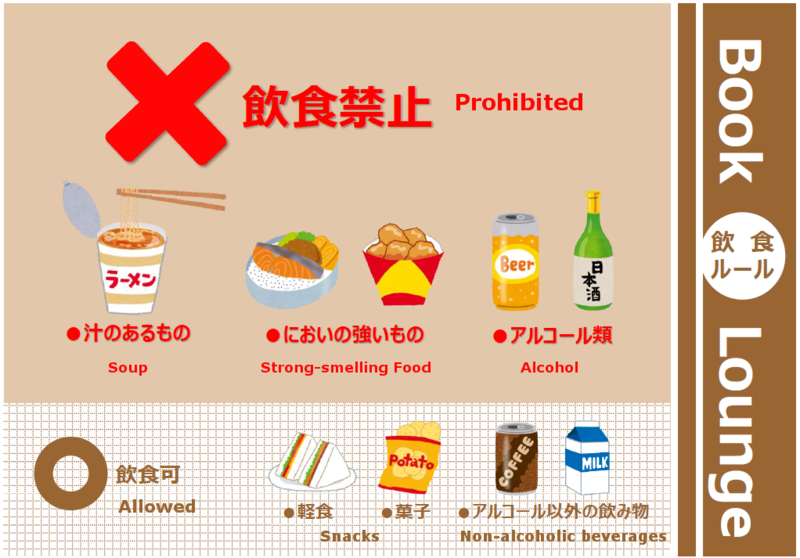 If its location says "法院研," then it means that the item is limited to use within the Kanazawa University Graduate School of Law. You cannot read it or check it out. Login to "Library Online Service" on the library website (using your Kanazawa University ID and password). Click "ILL request," then the "New book loan request" button. Fill out the necessary information and apply. Select "On Campus" as the range of request. No fee is required. You cannot check out periodicals. You will have to make a copy of them. Even if you are an university member, your request may be denied if the item is owned by a laboratory and someone is using it. If you are not affiliated with the university, you may not check out the item yourself. Please request ILL service at a nearby public library or your university’s library. Your request may be denied if the item is owned by a laboratory and someone is using it. A11-1. Can I use the Internet in the library? Computers specifically for Internet users are located in the Infosquare, a computer section in the hall on the second floor. For the Internet service, you need your network ID and password. You can also use your own computer to access the Internet in the library. If you are not affiliated with the university, you are not allowed to use the Internet in the library. A11-2. I would like to print out things from a computer in the library. You can print out things from the computers in the Infosquare, a computer section in the hall on the second floor. You can also store the item in USB memory and print it on your own computer. If you are not affiliated with the university, you are not allowed to use the Internet or print materials in the library. A11-3. I cannot remember my Kanazawa University ID. You can find it out on the back side of your student ID card. If you cannot login by your Kanazawa University ID, please contact the Information Media Center, with your student ID card. A11-4. I cannot remember my Network ID. At the library, we are not able to help you. You will have to contact the Information Media Center.